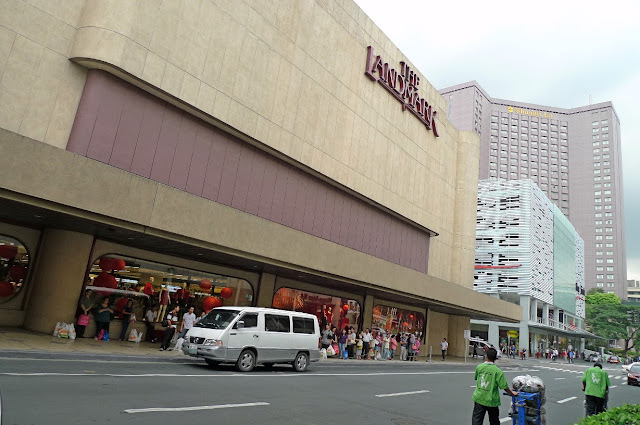 I shopped at Robinsons Place Manila near the hotel where I stayed on my first day in Manila City. That, to me, was a pretty average shopping mall. 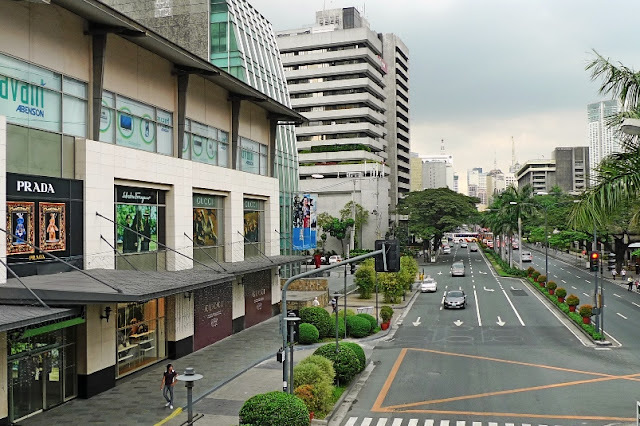 I was eager to visit other malls in Manila and discover the reason behind Filipinos' obsession with shopping malls! 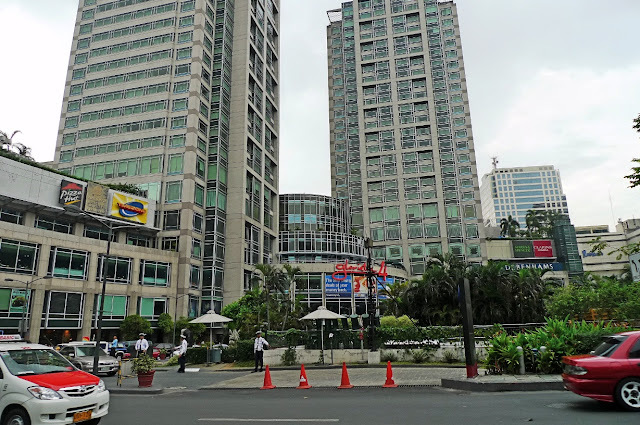 After I left the Manila American Cemetery And Memorial in Fort Bonifacio, I asked my taxi driver to drive me to Alaya Center in Makati City. 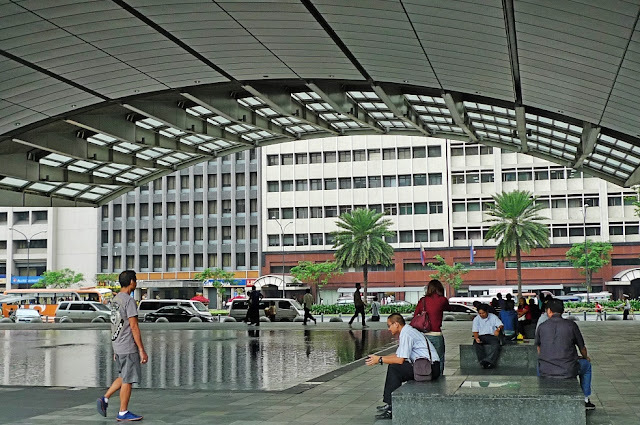 Ayala Center is a commercial complex operated by Ayala Land Incorporated located in the central business district of Makati in Metro Manila. 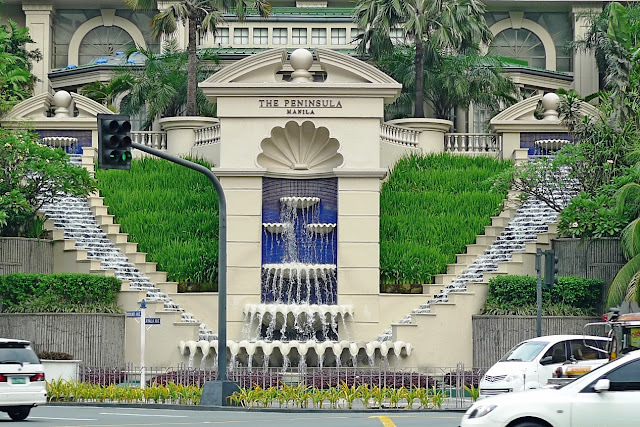 It houses several shopping malls, hotels and high class apartments. You might want to have a look at the map of Ayala Center HERE. My main aim was without question, to visit all those shopping malls there! First I visited Greenbelt. 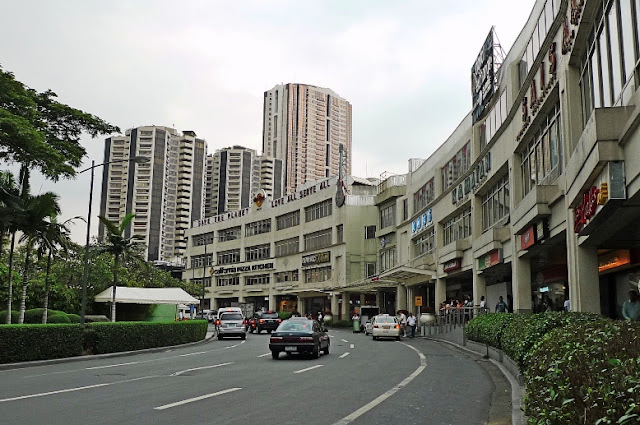 This very famous shopping mall is actually made of up five different buildings which are all connected to each other. They are named Greenbelt 1, 2, 3, 4 and 5! Below is a picture of Greenbelt 5. 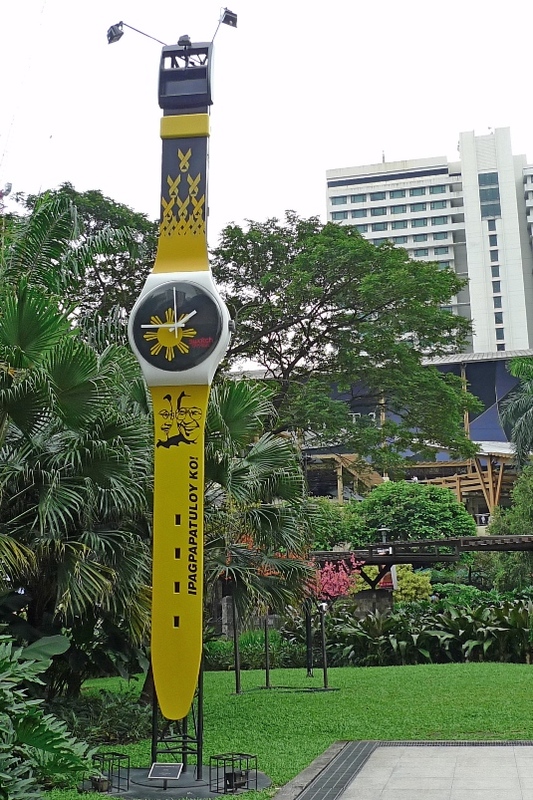 I saw a giant watch outside Greenbelt 5. Nice! By the way, each time I enter a shopping mall here, I had to go through security checks. It was rather tiring. I actually lost count the number of times my backpack was being opened and checked that day! Probably a dozen times? 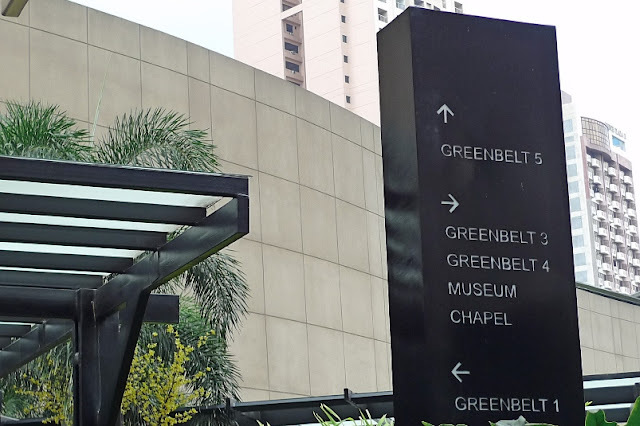 Being a first timer to Greenbelt, I was a little lost and had to rely on the signboard for directions. At times, I was not sure whether I was in Greenbelt 1, 2, 3, 4 or 5! 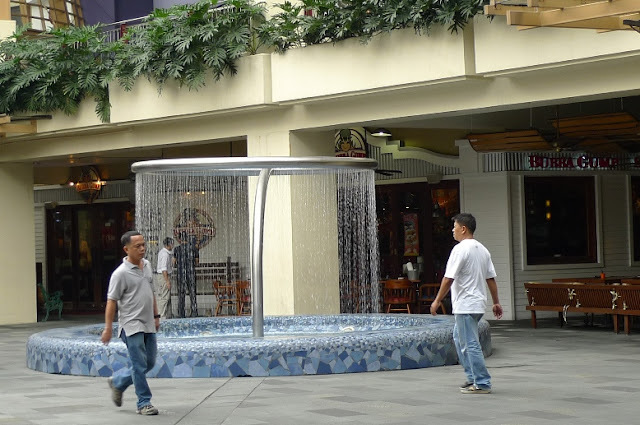 I think this fountain of water is in Greenbelt 3. 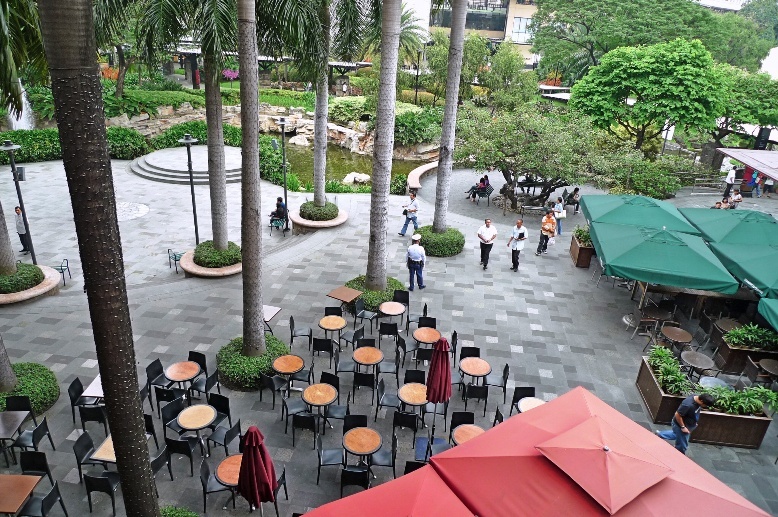 And this big open space below is in front of Greenbelt 3. I snapped this photo of a relaxing looking restaurant. Not sure which Greenbelt Mall this is! I can tell you that Greenbelt 4 (if not mistaken) has some of the world's high-end boutiques like Louis Vuitton, Jimmy Choo, Burberry, Prada, Bulgari and Gucci. None of which I even thought of buying! Haha! 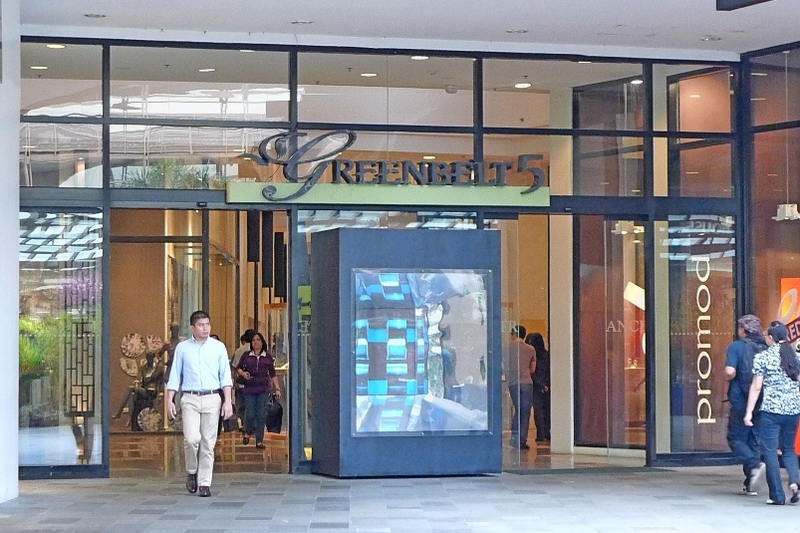 The rest of the Greenbelt buildings feature the normal international brands you can most likely find in most established shopping malls. Brands like Topshop, Calvin Klein, Levi's, Diesel, Marks & Spencer and so forth. Opposite Greenbelt, I could see a high class apartment building called The Residences. 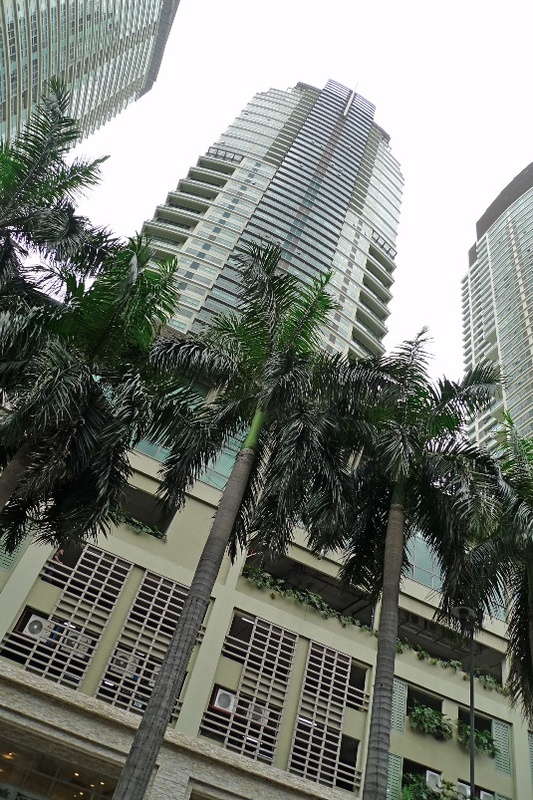 This building has 3 towers. Must be for the rich and wealthy! 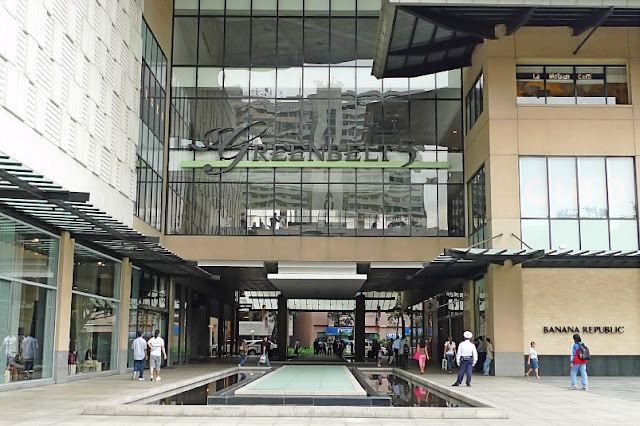 After completing my tour of Greenbelt, I crossed the bridge to go to another mall opposite the road. This mall is called The Landmark. I took this photo of Makati Avenue road as I walked on the bridge. 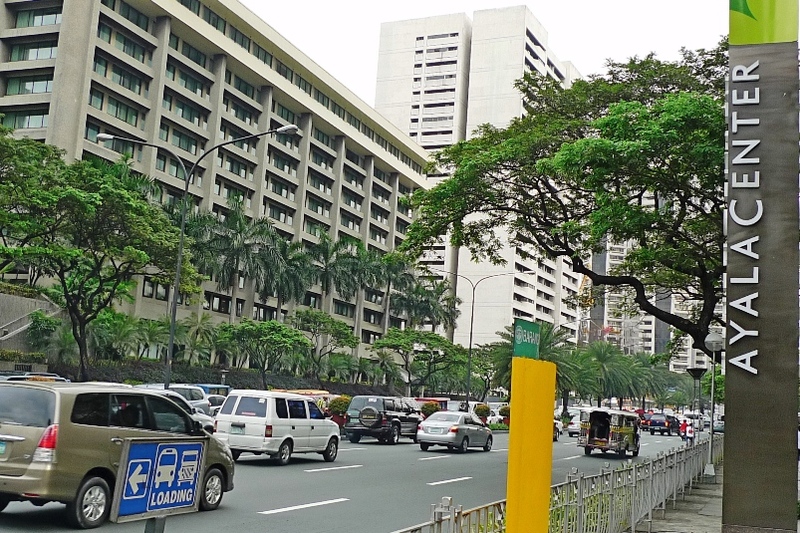 From this angle, you can see The Link building (in green) and behind it, the Makati Shangri-la Hotel. 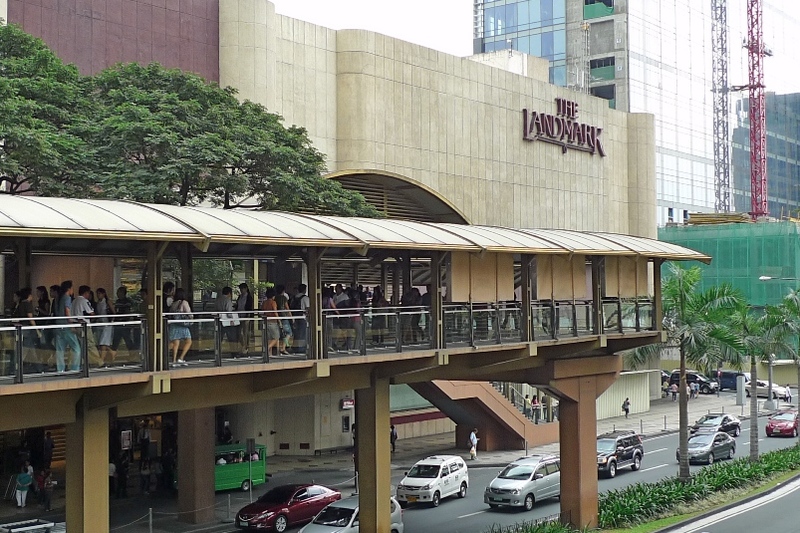 The Landmark was a pretty average shopping mall to me. Not as high class as Greenbelt and definitely more friendly to your pocket. Opposite The Landmark is The Link (aka Anson's Building). I am not sure what is in this building though, as I did not check it out. Instead, I continued walking further up the road. 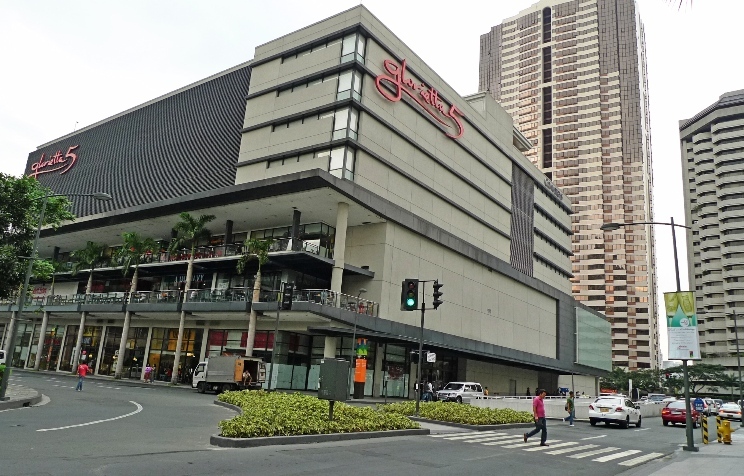 On the right side is Glorietta Malls, owned by the same company that owns Greenbelt. Just like Greenbelt, Glorietta is made up of 5 buildings namely Glorietta 1, 2, 3, 4 and 5. All the five buildings are connected to each other. The photo below shows Glorietta 4. 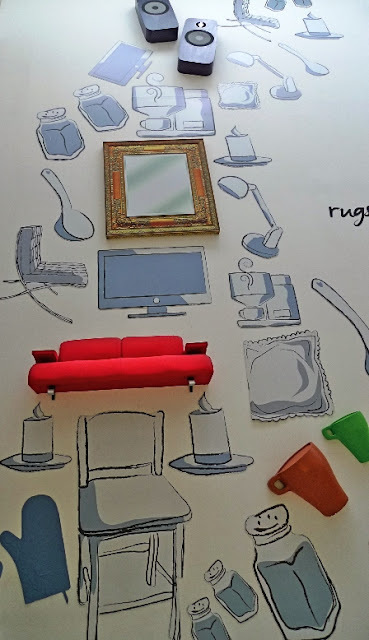 I could not remember which Glorietta building I saw this on the wall. It was quite interesting! It was already past 2pm and I was starting to get hungry. 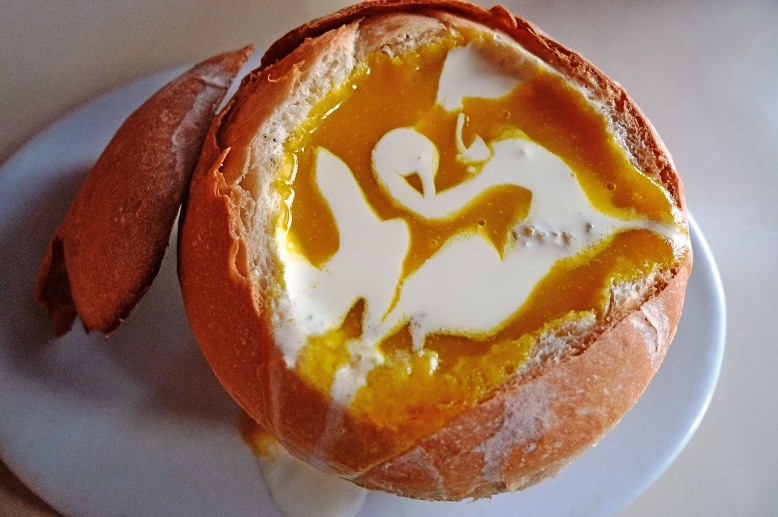 I decided to look for a place to eat. 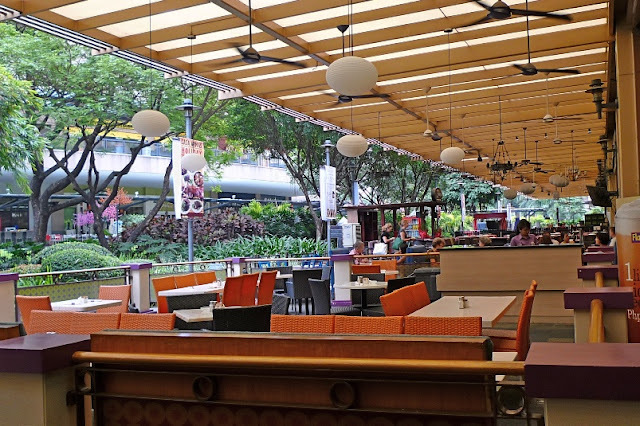 I saw this restaurant called Spaghetti Factory in Glorietta 5 and decided to go there for lunch. 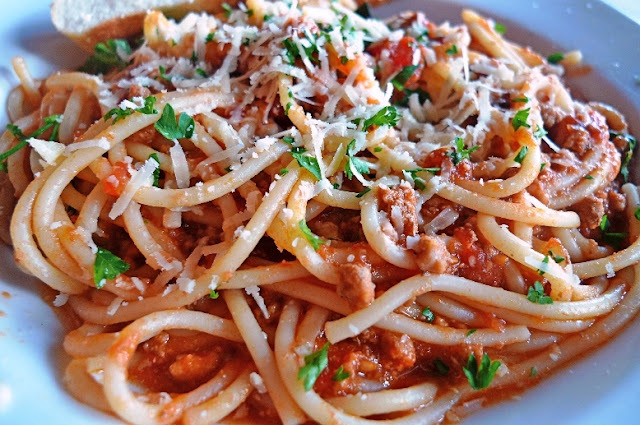 And this Spaghetti Bolognaise (179 peso/RM12.50) which was just OK to me. The restaurant was located on the 2nd floor I think, and I was sitting at the balcony. 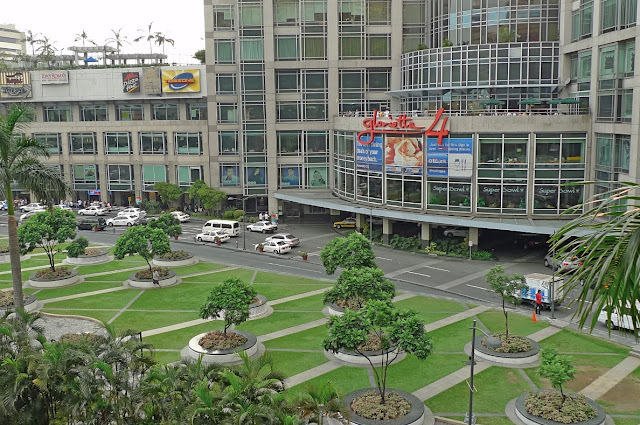 So I took a picture of Glorietta Park below and the Glorietta 4 building opposite. I was really full after that lunch but I knew all the walking and shopping in the next few hours would definitely help with the digestion! I bought a few T-shirts and souvenirs at Glorietta. After that, I proceeded to SM Mall which is located opposite Glorietta 1. 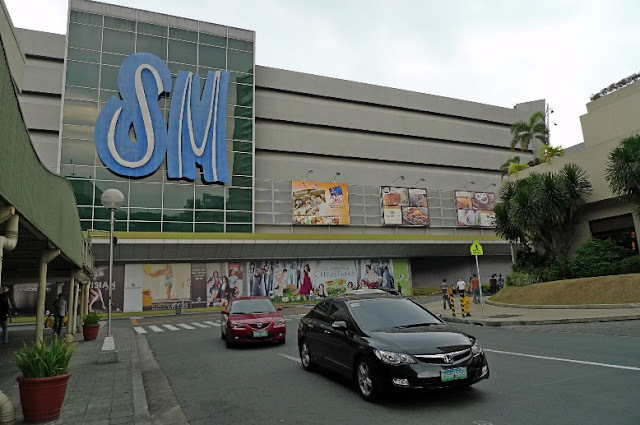 SM which stands for ShoeMart, is part of the SM chain of malls owned by Chinese Filipino Henry Sy, who also owns Banco de Oro (BDO), one of the largest banks in the Philippines. 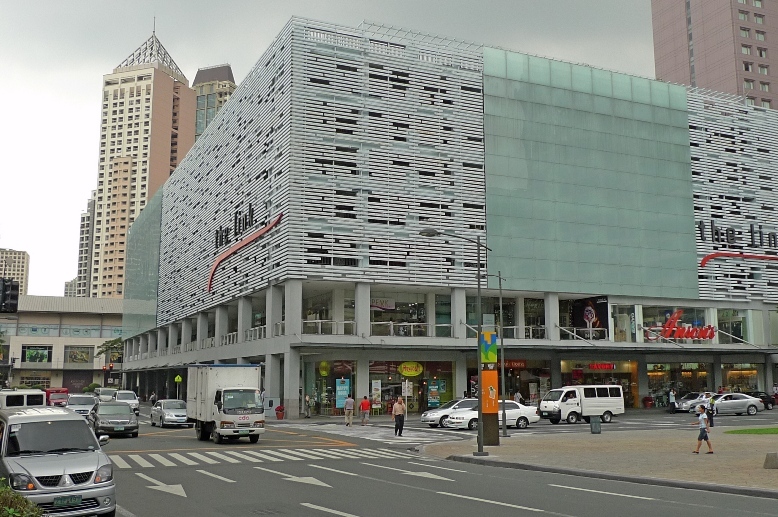 This SM Makati branch contains a SM Supermarket, SM Food Court, Toy Kingdom, Ace Hardware, Watsons, and restaurants. Opposite SM Makati is another mall called Square Park but I did not enter it. That's simply too many shopping malls in one day for me! 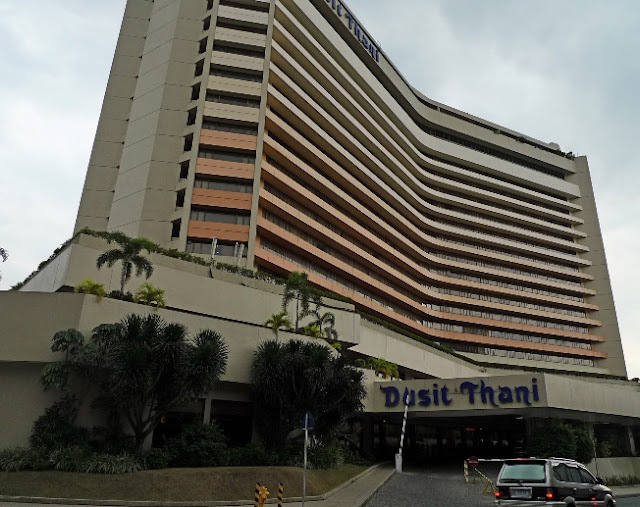 Oh, I saw Dusit Thani Hotel opposite Square Park! I still remember how much I love staying in Dusit Thani Bangkok! 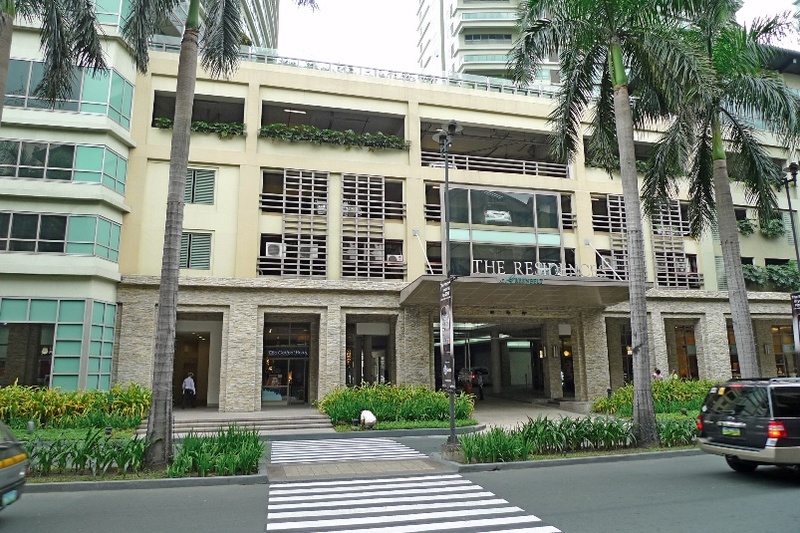 I wonder if this Dusit Thani in Makati is just as good! I had enough of shopping and wanted to see the rest of the area before it gets dark. I knew I would not be returning to Makati in the remaining days of my Manila trip, so I had better explore whatever there is left to explore! Walking along the busy main road Ayala Avenue, I saw the Manila Peninsula Hotel. 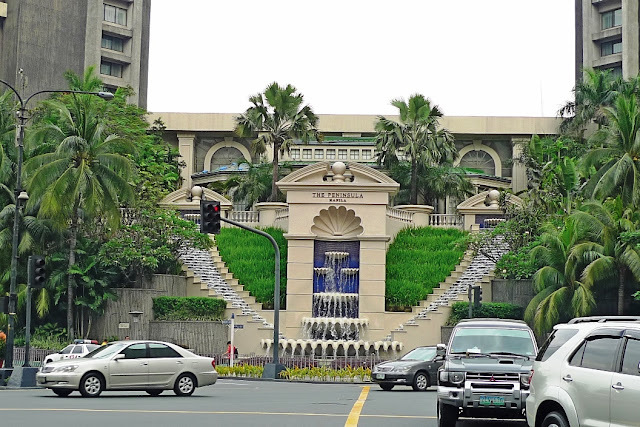 It was across Ayala Avenue on the other side, just directly opposite Makati Shangri-la. What a nice building! I love it! I hope to stay there one day! Haha! 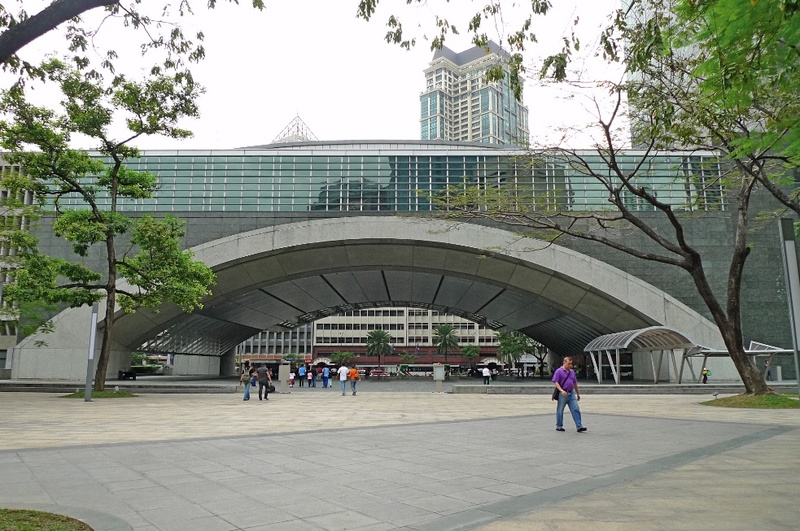 Walking further along Ayala Avenue, I soon reached the Philippine Stock Exchange Building. 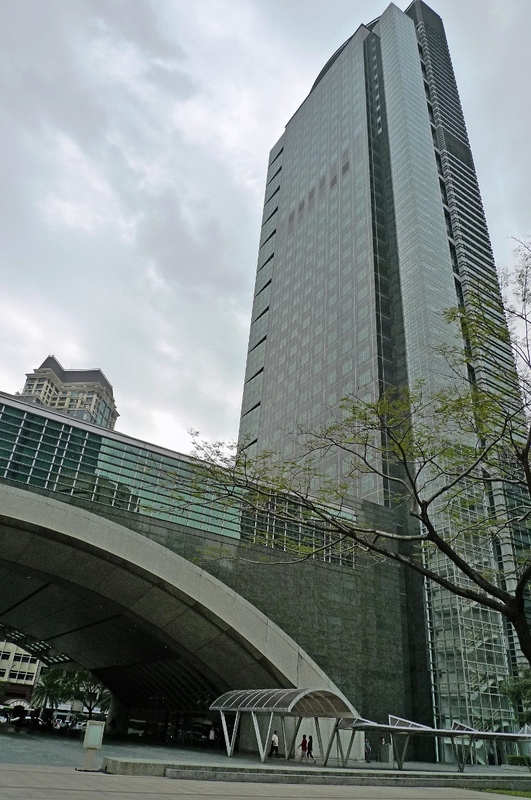 It was on the other side of Ayala Avenue and I had to cross over using the underground tunnel. 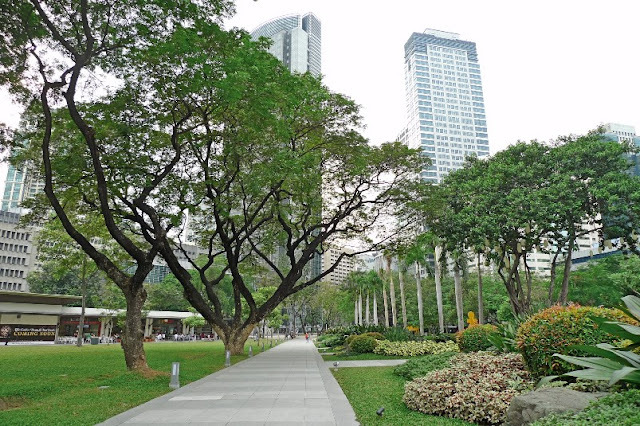 I also visited the Ayala Triangle Park nearby. It was nice to walk in this park - a good place to escape from the hustle and bustle of the city. This is a very impressive structure next to the Philippines Stock Exchange building. I wanted to take more photos of this area but was forbidden to do so by a security guard there. He told me that it was not proper to take photos of the citizens of the country. I was like, what? OK, if you say so. Whatever! I was so tired after all the walking and shopping I wanted to head back to my hotel straight away. Unfortunately, it was peak hour period and all the roads were jammed up. Even the queues at the taxi stand were long enough to discourage me from queuing up! I ended up walking back to Greenbelt and stayed there until late. By the time I managed to get a taxi and reach my hotel, it was already 10pm. Sleeping early was important as I would be leaving for Taal Volcano the very next morning.